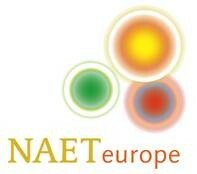 NAET is a natural, non-invasive method that uses simple muscle responses to identify intolerances to food and environmental substances. By identifying and clearing your body’s allergies, your body is then able to re-balance itself and function more efficiently. NAET’s testing technique uses muscle response testing (MRT) to indicate whether there is any negative response to an allergen. The treatment trains the body to react to the substance in a more wholesome way. * Is your body using its vitamins and minerals 100%? - if not, this can be the underlying cause of illness. * Is your body using its B vitamins 100%? - if not, this can contribute to anxiety. * Is your body using its minerals 100%? - if not, this can contribute to psychological stress and many physical symptoms. * Is your body allergic to sugar? - if this is the case, it can contribute to sugar cravings. * Is your body able to eliminate chemicals, pesticides and food additives? - if not, this contributes to a toxic body, which may trigger joint problems in the future. * Have you any known allergies? - most of these can be eliminated using NAET allergy work. * Do you suffer with any ill health or any other unexplained symptoms? - if so, NAET could be your answer.